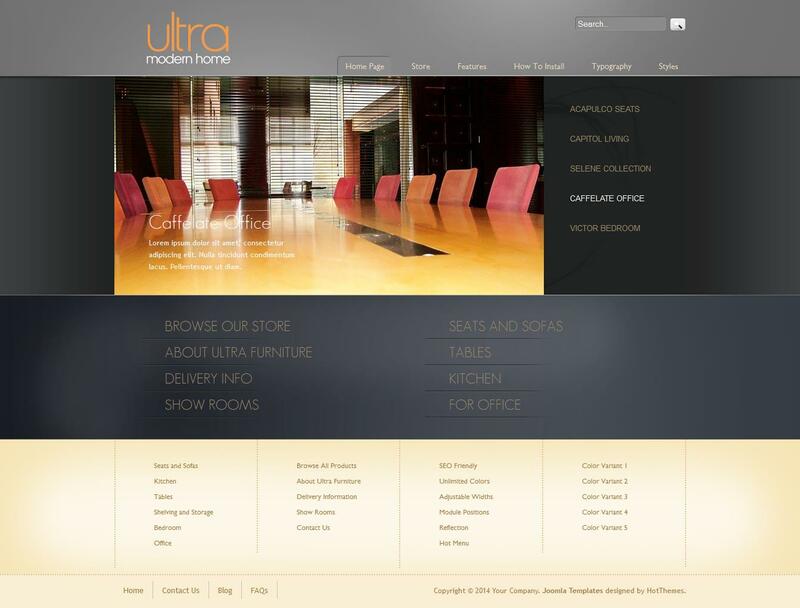 HOT Furniture Store - elegant template online furniture store theme made in an unusual and light style. This template fully supports VirtueMart e-commerce component and allows to create a site for the sale of any product. The template presented 5 preset styles and more than 20 module positions. There is a flexible adjustment of the layout through the admin panel template. Fast loading pages is due to good optimization of the template files. The template version for Joomla 1.5 support VirtueMart v1.1.x and version 2.5 VirtueMart v2.h respectively.